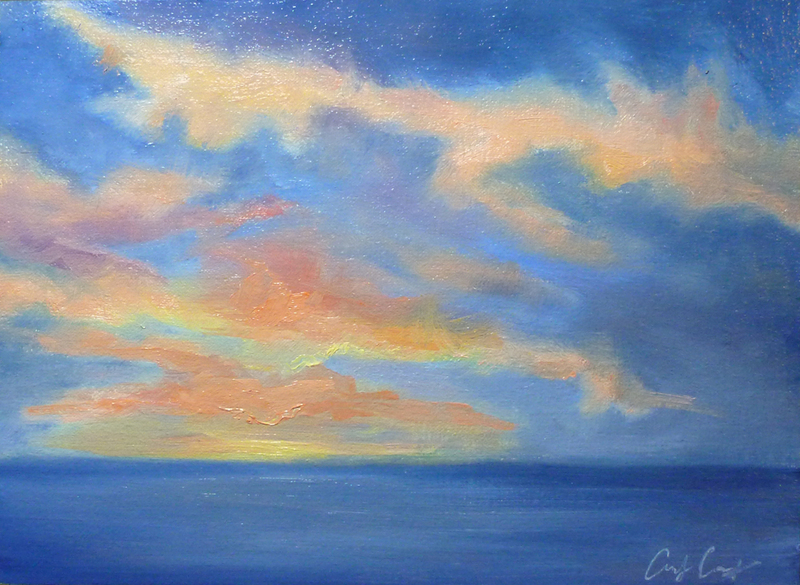 This painting was features in the "Holiday Treasures" show at Debra Huse Gallery, Balboa, CA, December 13. My inspiration is the dramatic winter sunsets of Hermosa Beach. Oil on high quality linen mounted on board, ready for framing.